Big Bear Lake is a great place to spend your Christmas holiday! 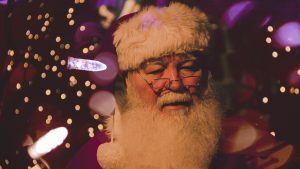 Enjoy family friendly festive activities, play in the snow and even visit Santa and Mrs. Clause before they head back to the North Pole. Whether you take a stroll through The Village and enjoy the twinkling lights, curl up by the fire in your Big Bear cabin rental, or experience the magic of Christmas morning in the mountains, spending your Christmas holiday in Big Bear Lake is sure to provide memories that last a lifetime! Friday, December 23rd from 5:00 p.m. to 9:00 p.m.
We may have already had our first snowfall, but winter officially kicks off in Big Bear at The CAVE with famed ski-film pioneer Warren Miller’s 67th annual film “Here, There and Everywhere.” The film travels from Crested Butte to Eastern Greenland, British Columbia, Alaska, Boston and even takes you on a Swiss holiday aboard the Glacier Express. This event will surly get you into the winter spirit! Saturday, December 24th from 10:00 a.m. to 4:00 p.m. Kids can get in their last Christmas wishes to Santa and Mrs. Claus before he takes off to deliver presents to kids around the world (wink wink!). 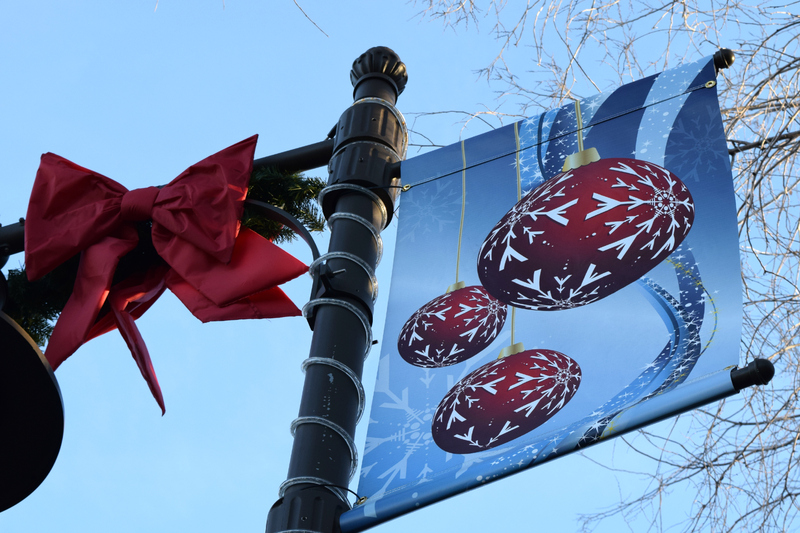 Take a stroll through the beautifully decorated streets, have some hot chocolate and enjoy your holiday weekend in Big Bear. Saturday, December 24th from 12:00 p.m. to 3:00 p.m.
Santa is a busy guy this time of year! Swing by Snow Summit to have your photo taken at Basecamp. Admission is free and is open to all ages. Monday-Friday from 9:00 a.m. to 4:00 p.m. Weekends & Holidays from 8:30 a.m. to 4:00 p.m. The resorts are open and ready to give you the best skiing and snowboarding in Southern California! 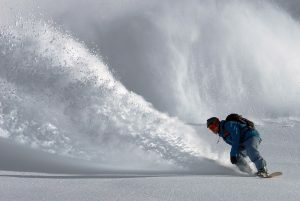 Grab your gear or book a rental and hit the slopes this holiday. Both Snow Summit and Bear Mountain will be open with new runs and features opening as snow permits. Night sessions will be offered weather permitting December 23-31st from 3:30 p.m. to 8:30 p.m.